For decades, the Great Barrier Reef has enjoyed World Heritage Status and been synonymous with diving, tourism and with Australia. 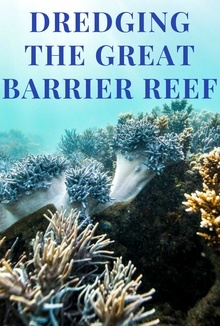 UNESCO was threatening to downgrade the Great Barrier Reef to the World Heritage ‘In Danger’ list; a category populated predominantly by war-torn and developing nations. However, in May 2015 they decided against the downgrade due to the conservation plan put in place by Australia, but allowing 5 years for them to halt the deterioration of this unique underwater landscape. The Great Barrier Reef is more than capable of generating enormous annual revenue sustainably. But if our financial and ecological decisions remain unaligned, everyone stands to lose. And what’s at stake is much more than just World Heritage status.